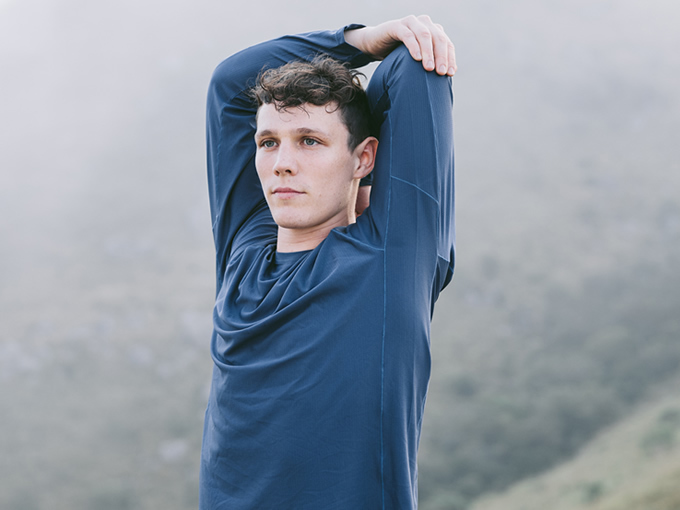 Meet our high-performance, lightweight technical shirt. Made with our signature Air-knit fabric. Regenerated polyester yarn is naturally hydrophobic- meaning it doesn't really like water that much, and won't absorb moisture as much as natural fibers such as cotton, for example. It is one of the reasons why we chose this yarn to engineer our Air-Knit fabric with. It provides an essential foundation for functional qualities such as quick-dry, moisture wicking and lightweight to develop. The difference with ours is we took this baseline of functionalities and elevated it to a whole new level regarding performance and sustainability. Regenerated polyester yarn can also be recycled again and again with no degradation of quality, allowing us to minimize wastage. This means our shirts could potentially become a closed loop system if the shirts are recycled after their use.